We wanted a location close to the main roads but off the path a bit and this hostel was perfect. The location is gorgeous and we couldn’t have asked for a better experience as short as it was. If you are new to right hand drive and single lane roads I would plan to arrive before/after a busy time for the fairy pools which you need to drive past and are heavily frequented throughout the day. A little out out of the way but so nice to have a quiet landing after busy days, I can’t wait to return. 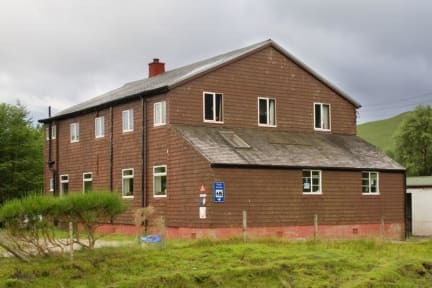 Quite a nice hostel if you are looking for an out of the way experience on Skye. You really need a car to get here but it puts you in a perfect spot for lots of great hikes. 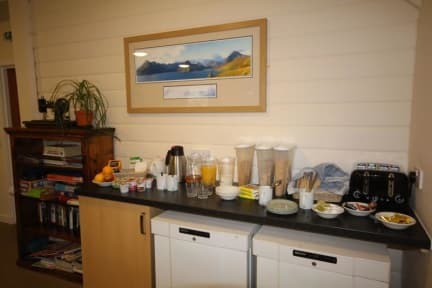 Lovely friendly and relaxed atmosphere and the perfect base for walking and hiking Skye. Really close to the fairy pools. About a 10 mins drive. Hostel was clean and lovely. A waterfall and river just at the doorstep of the hostel. Lovely spot at the base of the mountains, perfect for hiking and being surrounded by the beauty of nature. Nice big kitchen with lots of seating area. Clean and modern bathrooms, comfortable beds.